It’s that time of the year when all the different varieties of squash are in season. 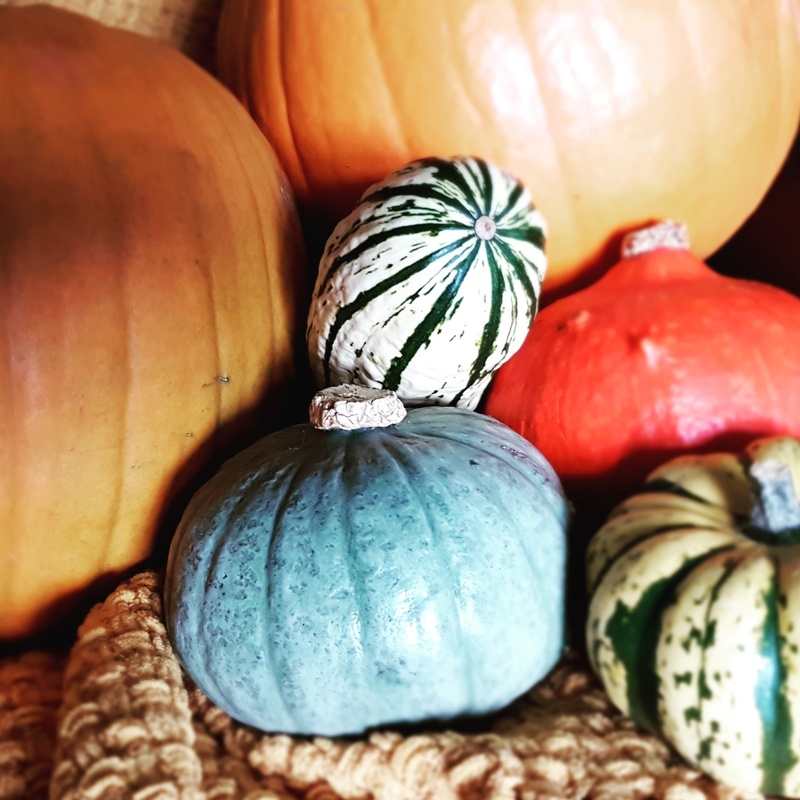 After buying some for both eating and attempting an autumnal photo shoot with the baby I was inspired by the question the cashier asked “What are you doing with these squash? I just use them for decoration” I came up with a few suggestions on the spot but when I got home I thought I would challenge myself to find different ways to use squash. Since being on maternity leave I’ve got back into cooking and have been experimenting with various things. At least twice a week I did one of Jamie Oliver’s 5 ingredients recipes which were real tasty and super easy to. I must have done the green spaghetti at least 4 times since watching it on TV. On my Instagram you will see the different dishes I’ve done already. I have two massive pumpkins left which will definitely need freezing once all scooped out as they are huge and even though we eat a lot here we wouldn’t be able to eat it all before it went bad. I’m looking forward to making pumpkin pie as I love sweet potato pie I always have two make at least two at a time because we just gobble the lot.